This past week, the Royals parted ways with three pitchers who spent part or all of last season in Omaha: Matt Herges was released; Anthony Lerew and Josh Rupe became free agents. Here’s a look back on what they did for the Royals. 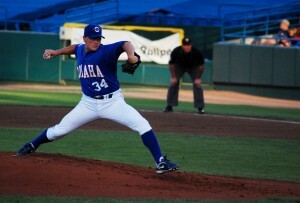 Matt Herges, pitchin'. Photo by me. 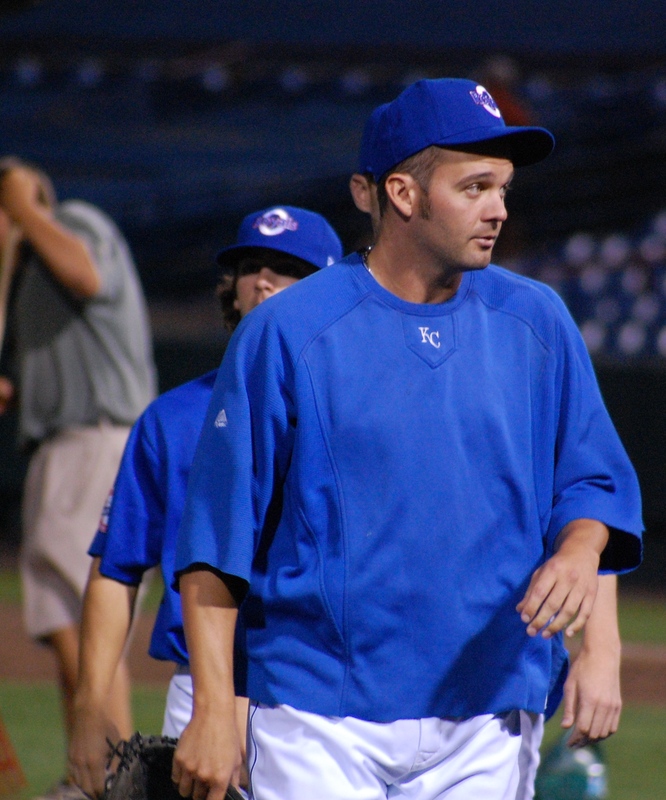 Herges signed as a free agent with the Royals last January. Since 1999, Herges had logged time with – prepare yourself; this is a LONG list – the Dodgers, Expos, Padres, Giants, Diamondbacks, Marlins, Rockies, Indians, and Rockies again. However, he never saw the Majors with the Royals in his age 40 season. There were times this season when I questioned Herges’ spot on the roster. In previous years, having a 40-year-old journeyman reliever would not have fazed me. This season, however, it was more vital than ever that every one of Omaha’s roster spaces went to a younger guy on his way up. I took out a lot of frustration on Herges when Disco Hayes was released. But Herges had his purposes. He was good (relatively speaking) for looooong relief. He had six relief outings of more than three innings, and 11 of at least two innings. He also made five spot starts toward the end of the season. All of that means that more than half of his appearances this season were longer than two innings. Even though he wasn’t electric by any means, the ability to get out there and pitch that many innings has value. I imagine that Herges’ pitching career is finished, but he did provide a lot of help to Omaha this season – and seems like a high-quality human being, too. After signing as a free agent last November, Rupe pitched all of 9.2 MLB innings this year. They were pretty unspectacular. In Omaha, Rupe settled in as a closer of sorts. In his 40 appearances for Omaha, Earl finished 32 games and picked up 10 (shudder) saves. He walked a ton of batters – 4 per 9 innings – but struck out more than he had in his previous AAA season at Oklahoma City. Rupe also gave me one of my moments of realization that baseball players are people with an exhausting schedule, and I should keep that in mind when I think/write/converse about them. One day, the team had just returned from a long road trip. Everyone looked awful before the game. Rupe said they had flown in from wherever at 3 that morning, and finally arrived in Omaha at around 2 in the afternoon, just in time to go straight to the ballpark. He smiled weakly at the cloudless sky and wondered if somehow, some way, someone could arrange a rainout so the guys could get some rest. I can see someone picking Rupe up for exactly the role he filled for the Royals. A couple of MLB innings and a whole lot of utility in Triple-A. Oh, those sideburns! So pretty. In my brain, Lerew is way older than 27. I don’t know why, but I always lump him in with the 30-32 year old relievers who just sort of float around between the Majors and Triple-A. But really, he’s not that old. Lerew spent more than a calendar month with the big club, making six starts and picking up his first Major League win. 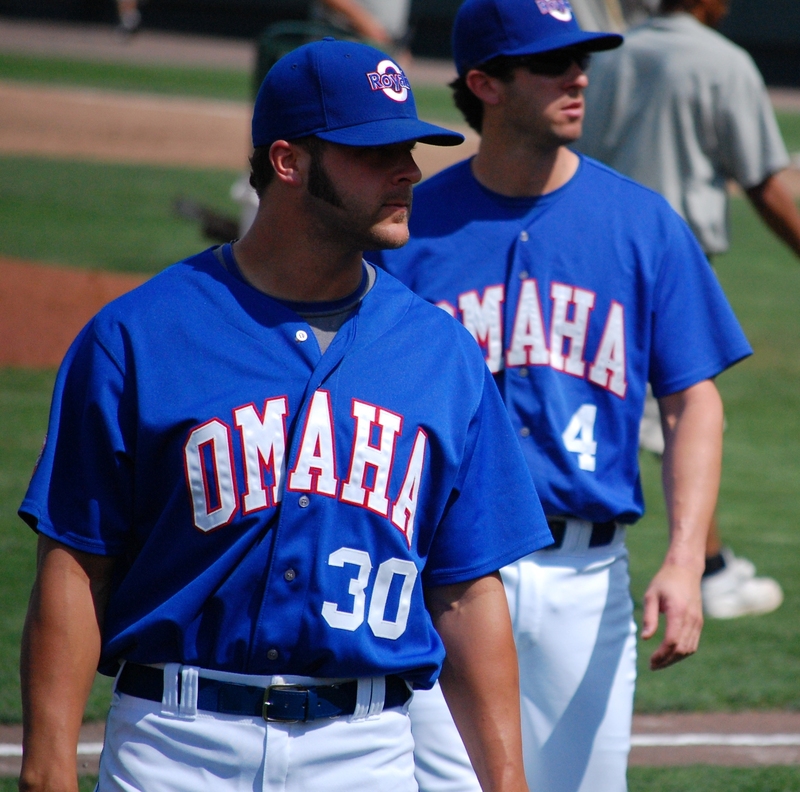 For Omaha, Lerew was mostly a starter, and a gosh-darned good one. He wasn’t Omaha’s Pitcher of the Year, but a lot of people around the team (Lerew among them) eventually decided he should have been. More than half of his starts were at least six innings, plus one rain-shortened 5-inning start in which he looked awesome and likely would have pitched deep. His strikeout and walk numbers were so pedestrian they’re almost boring. (I wanted to look up his ground ball/fly ball/line drive numbers, but minorleaguesplits.com has been taken down for a while. When did that happen? I’m sad.) But the rest of his traditional numbers were good – 9 wins, a 2.55 ERA. His FIP was a bit higher – 3.61 – but that’s still awfully good. With all that said, do you think Lerew has any kind of future in the Majors? As much as I want him to succeed, I wonder. What do these farewells mean for the organization? This kind of turnover happens every year, but this year it might finally mean that space is being cleared for pitchers who will make a big impact on the organization. This will be the most interesting roster the Royals have had at AAA in a very long time, or maybe ever. I will leave you with a photo Josh Rupe without facial hair. 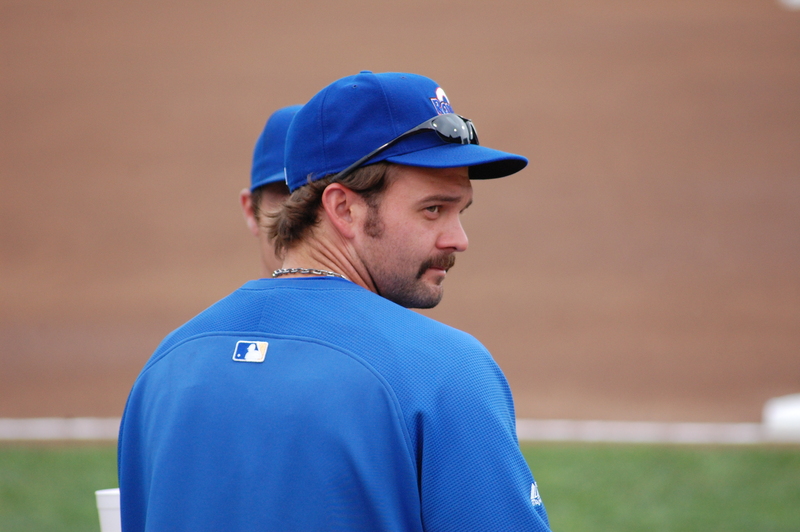 Between his serial killeresque beard in KC, and the Earl moustache displayed above, I had no idea what his actual face looked like until late in the season. His name is no longer Earl.